The Game Boy is an 8-bit handheld video game device developed and manufactured by Nintendo. It was released in Japan on April 21, 1989 (1989-04-21), in North America on July 31, 1989 (1989-07-31), and in Europe on September 28, 1990 (1990-09-28). In Southern Asia, it is known as the "Tata Game Boy", and in South Korea as the "Mini Comboy", which was distributed by Hyundai Electronics. It is the first handheld console in the Game Boy line, and was created by Gunpei Yokoi and Nintendo's Research and Development 1, the same staff who had designed the Game & Watch series as well as several popular games for the Nintendo Entertainment System. The Game Boy is Nintendo's second handheld system following the Game & Watch series introduced in 1980, and it combined features from both the Nintendo Entertainment System and Game & Watch. It was originally bundled with the puzzle game Tetris. 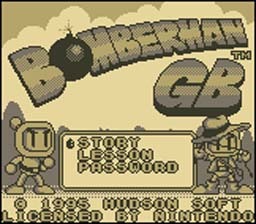 Despite many other, technologically superior handheld consoles introduced during its lifetime, the Game Boy was a tremendous success. The Game Boy and Game Boy Color combined have sold 118.69 million units worldwide. Upon its release in the United States, it sold its entire shipment of one million units within weeks.